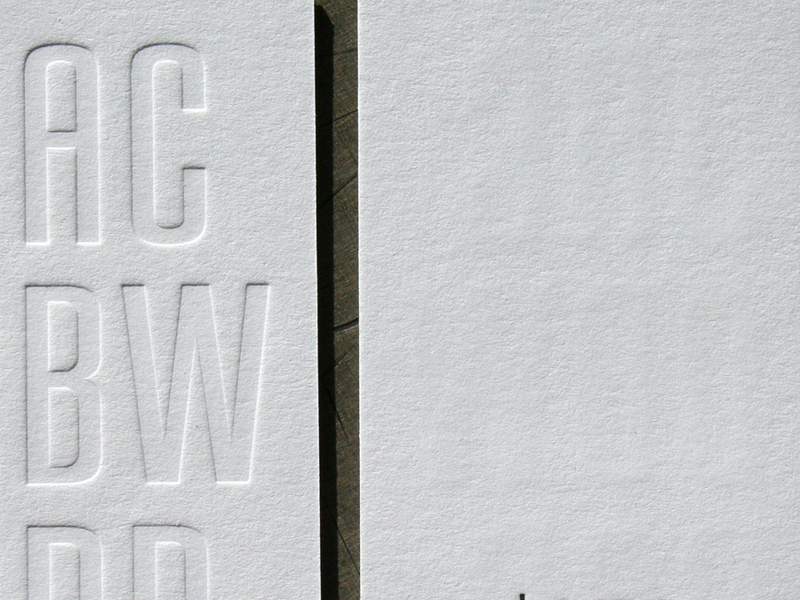 These cards, designed by Jacob Ward have a heavy blind (inkless) letterpress impression on one side and black ink on the other. A blind hit needs a substantial amount of impression since it is relying only on the change in paper surface without any ink color to define the graphic. The large type size really pops on this card. If you have a good monitor and click through the pics below, you can see that even on a 220lb cotton stock there can be small amount of impression show through on the reverse side.